European Union officials quietly approached Justin Trudeau's new government last fall with a request to revisit controversial investment protections in the Canada-EU trade deal. Both sides are afraid of losing the ratification vote in Brussels. European Union officials quietly approached Justin Trudeau's new government last fall with a request to revisit the controversial investment protection clause in the Canada-EU trade deal. Negotiations for the Comprehensive Economic Trade Agreement (CETA) were supposed to have concluded in the summer of 2014 — the former Conservative government led by Stephen Harper had trumpeted success since an agreement in principle in 2013. But nothing was signed then. Or since. Now, stoked by fears of setting a bad precedent for trade talks with the United States, well-organized dissent in Europe has taken hold. It risks a humiliating defeat on a ratification vote expected at the EU's parliament in Brussels this fall, unless a compromise can be reached to appease moderate opponents. 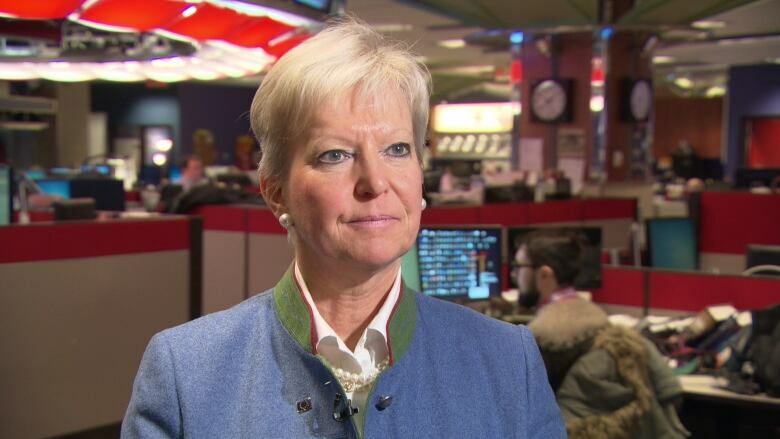 "Both parties don't want to re-open negotiations," said Marie-Anne Coninsx, the EU's ambassador to Canada. But: "there might be some legal adjustments that would be necessary to the clause and we have indications from both sides that there's willingness to do this," she told CBC News. Negotiators have been meeting weekly by video conference, as a legal process to "scrub", or vet, the text and check 23 language translations drags on. The EU believes this section can be reworked as part of the "scrub." 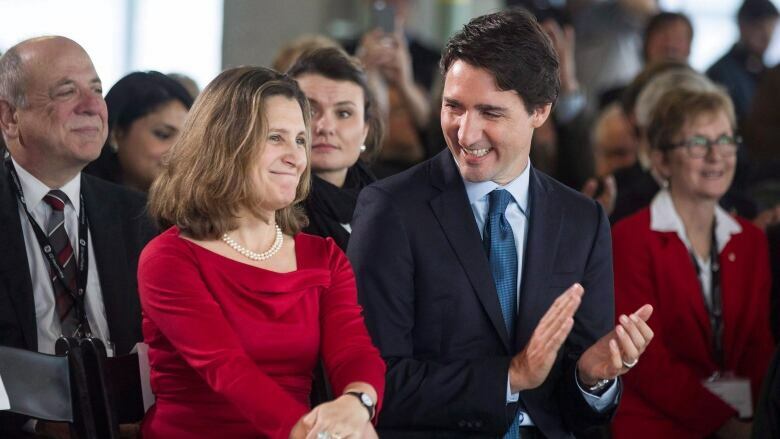 International Trade Minister Chrystia Freeland told reporters in Montreal last week that both she and Prime Minister Trudeau are holding talks and she's confident they will get a deal soon. "I'm not going to give you specific timelines because we're negotiating now, and sort of — negotiating is the wrong word — we're getting through with the Europeans, across that final mile to the finish line," the minister said. The investor-to-state dispute settlement (ISDS) mechanism Canada negotiated on CETA was consistent with other deals. As with Chapter 11 of the North American Free Trade Agreement (NAFTA), businesses are protected from arbitrary government decision-making. The opportunity for corporations to recover damages aims to force governments to fulfil the trade deals they sign, or be held accountable. "The debate over whether ISDS provisions should be in trade agreements is over," said Adam Taylor, now with Ensight Canada, who worked for former Conservative minister Ed Fast during the negotiations. "There is strong consensus that they are good, they protect businesses and they should be part of these ambitious, 21st-century trade agreements," he told CBC News. But critics point to how expensive things can get for taxpayers when corporations sue governments for interfering with trade. Americans have proven particularly skilled at winning, or dragging out, these disputes. And that's the problem. "Everything started when we began negotiations with the U.S.," Coninsx told CBC News. While CETA would have been transparent and preserved a state's right to regulate, she said, applying its ISDS to a bigger trading partner changed things. "Dealing with the U.S. sometimes raises other concerns than dealing with Canada," she said. Anti-American suspicions have fuelled an anti-trade movement that draws hundreds of thousands of protesters — and the attention of politicians — in key countries like Germany and France. "A creative solution is needed," Taylor said, using a trade negotiator's term for a negotiated compromise, lest ISDS become a "poison pill that derails the deal altogether." If ISDS is a no-go, or red line, for certain EU legislators, it's prudent for Canada to find a solution, he said. Veteran campaigner Maude Barlow from the Council of Canadians has been in Europe trying to mobilize opposition. "I don't think it could pass the European Parliament as it stands now," she said. 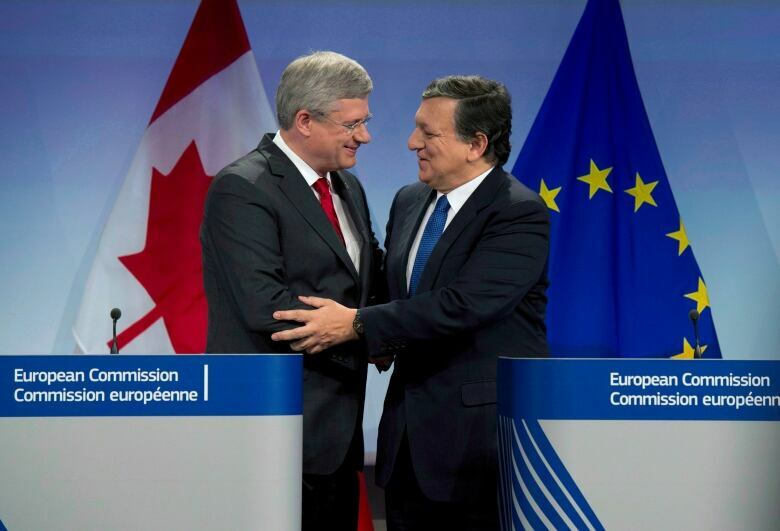 Europeans now see things as a two-part North American deal: part one is CETA with Canada, and its passage sets up part two with the U.S. Even if part two fails, American corporations with branch plants in Canada could still take aim at European policies, she's argued. Facing these political headwinds, the EU proposed a new Investment Court System (ICS) this fall. Unlike the case-by-case ad hoc tribunals that adjudicate in North America, this suggests permanently-appointed judges, a formal court of appeal and clear rules to make things fair, particularly for small and medium-sized businesses. 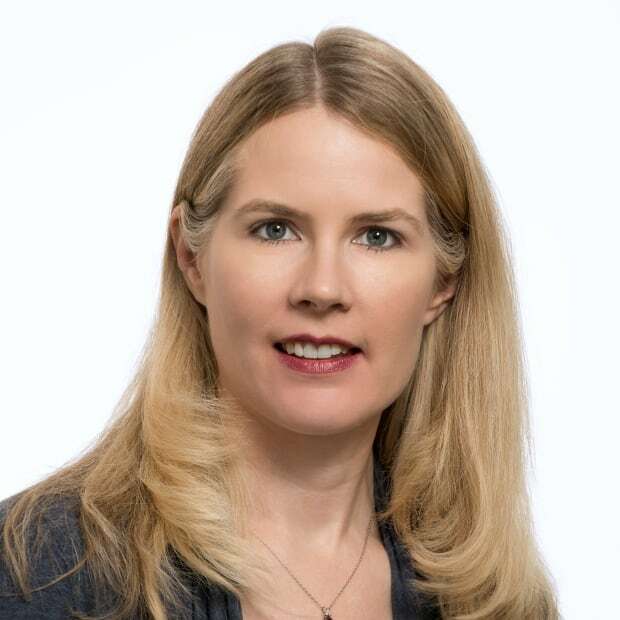 But Barlow's collaborators believe the compromise might be worse, formalizing rights for foreign corporations that domestic companies would not have in the new court. They'd prefer to defeat the deal as is. "I'm sure if the government is going to do it, it would like to do it as quietly as possible, but it will be impossible to keep it quiet," Barlow said. Americans aren't receptive to the new court idea. Neither, at least fully, is Canada. Speaking to the Polish audience, Verheul tips Canada's hand: "Canada can agree to some of the changes," the translation reads, but we have concerns that the [proposed court] is significantly more complicated and expensive. It also does not guarantee that a case will be heard by the most appropriate panel of judges." "We think it will bring more assurances for some, but not more costs," Coninsx told CBC. Trade lawyer Mark Warner, part of Ontario's legal team during the CETA talks, agrees with Verheul that while NAFTA's ad hoc tribunals are composed of recognized experts, the kind of generalist judges named to this permanent court could lack tailored expertise. 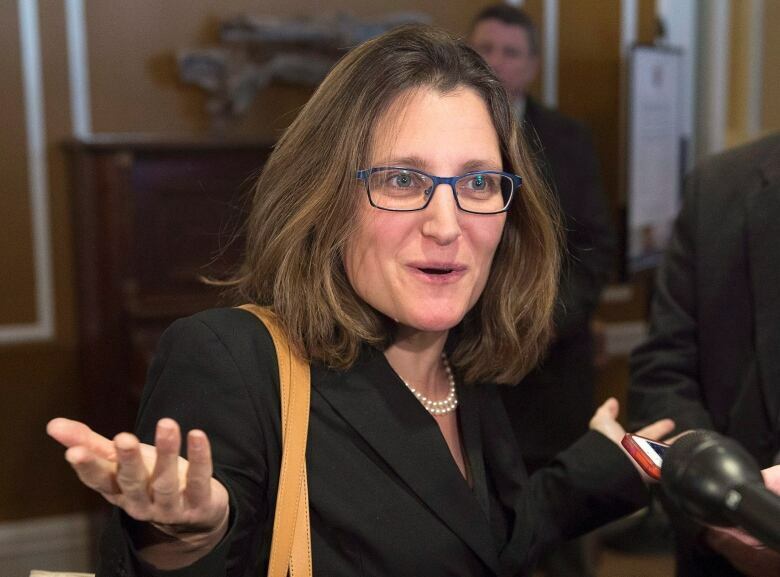 It all puts Freeland in a tight spot if she takes seriously her mandate letter marching orders to proceed with ratification as quickly as possible. 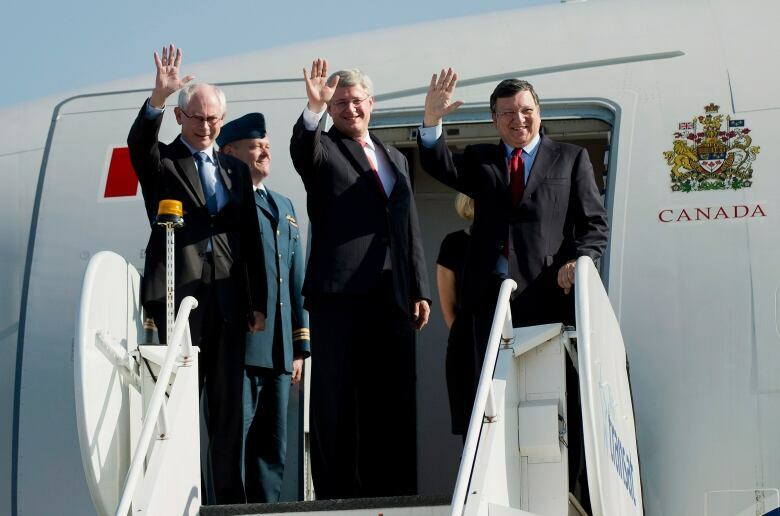 "I think the Americans will be pretty pissed off at us," Warner told CBC News. If Canada agrees to a compromise the U.S. doesn't want, "it's like throwing a finger into their eye. And I thought Justin Trudeau said he was going to have better relations with [Washington.]" A side deal could be "a nice little talking point" that sets the Liberals apart, similar to what the Chrétien government did with its side deals on labour and the environment when NAFTA came in, Warner said. "They could say 'see, we're not doing Stephen Harper's bidding, we got this from the Europeans,'" — but they'd be left with both diplomatic and "architectural" issues later if CETA isn't consistent with other North American deals, including the proposed Trans-Pacific Partnership deal of 12 Pacific Rim countries. "We do most of our trade with the Americans, not with Europe," Warner said. "I wouldn't do it."